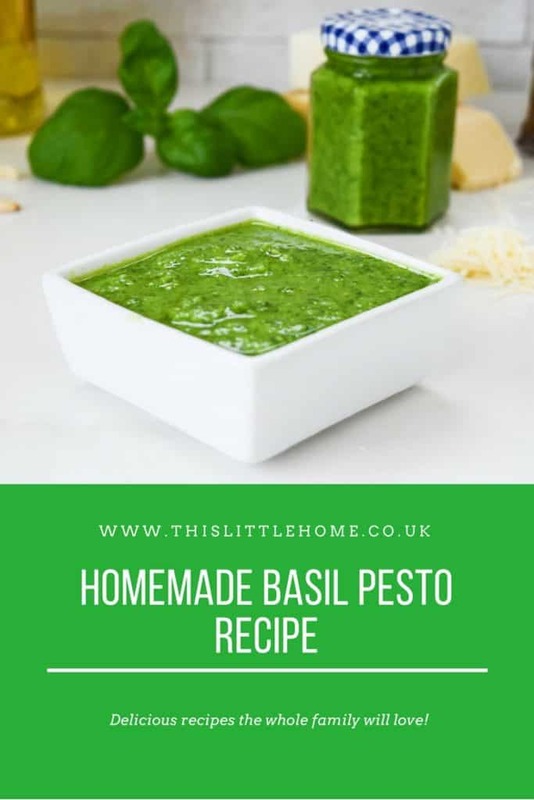 Pesto can compliment so many dishes and it’s really easy to make. Just throw the ingredients together and blend! The rainy weather didn’t seem to put many people off bonfire night last night so I spent the evening curled up on the sofa, watching fireworks through a rain splattered window. Sitting inside in the warm, with a glass of mulled wine and my roasted chestnuts. Totally. Perfect. Evening. The boys missed most of the firework action and went to bed before most of them began. Bam Bam complained that the fireworks were too loud and he didn’t like them, 5 minutes later he was begging to see more. I suspected the sudden eagerness (as bedtime loomed) was a clever way to delay the inevitable sleep that was soon to follow. Since becoming more eloquent, his reasons for avoiding bedtime have grown. If all bedtime dodging fails, he will break out his secret weapon, by telling me how much he loves me and needs a cuddle. I am completely powerless against that and he knows it! It works every time! I made this pesto earlier in the week and after a long few days of cooking. 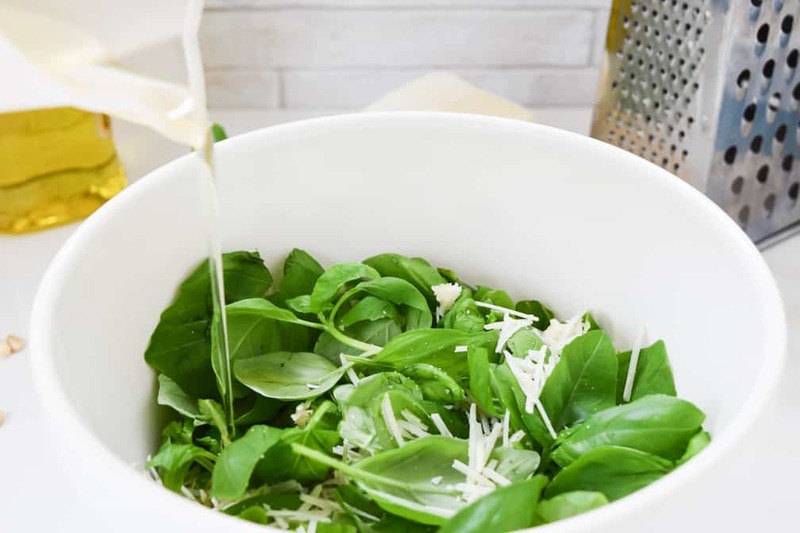 Pesto always comes in handy when you want to enhance a quick meal. 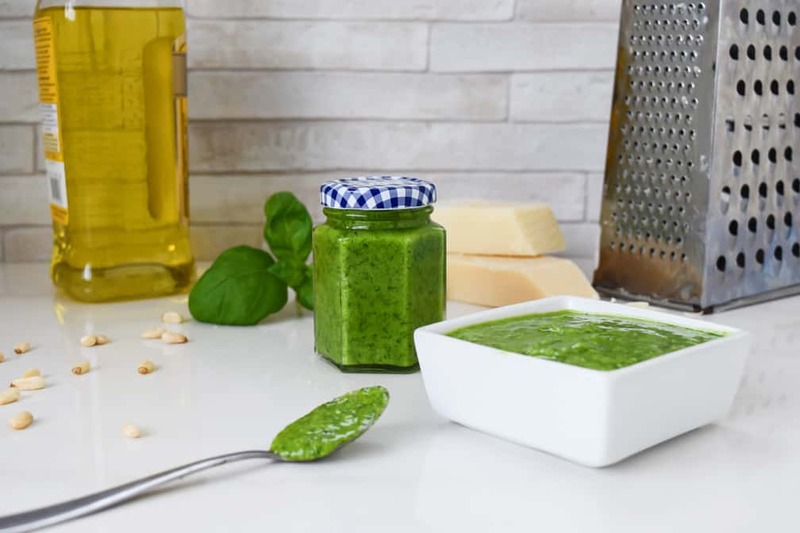 What makes it so great is the list of possibilities for pesto uses are endless…. Just like Bam Bam’s bedtime escape list! 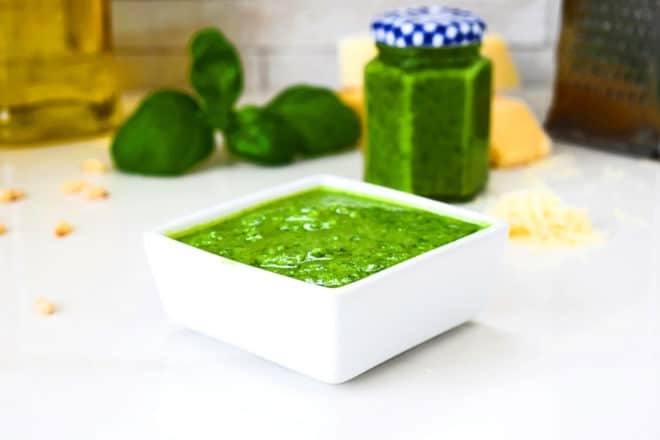 I will share some great pesto dishes soon but for now, buy some basil and get blending! Try these fried pesto potatoes now! Place into sterilised jars and store in the fridge.